Their passive coloring and texture makes a wonderful backdrop for perennials, and you'll love the butterflies, bees, and hummingbirds that flock to their honey-scented blossoms. 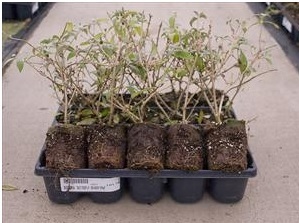 Buddleias should be planted in a full sun location with fertile, moist, well-drained soil. Adding lime to the soil may result in increased growth and better floral quality. They are also moderately drought tolerant once established. Butterfly Bushes are a butterfly garden mainstay with long lasting flowers. When you see how butterflies flocks to them, you will know why they are called The Butterfly Bush. The abundant bloom, attractive color and delicate fragrance will attract butterflies to your yard from midsummer to autumn. Average mature size is often 5 to 8 feet high and wide. Buddleias make excellent cut flowers and attractive specimen plants. PLANTING: Buddleia, as long they receive full sun, will adapt easily to almost any good garden soil, but prepare soil thoroughly before. Plant at least 6 to 8 feet apart. MAINTENANCE: Water during long, hot, dry spells to prolong the growing season. In the northern areas, buddleias tend to die back to or near to the ground over the winter. Even in areas where they do not die back, they should be cut back hard in the fall in northern zones to prevent snow damage and in early spring to encourage vigorous new growth in southern zones. They break dormancy late in the spring, but with the onset of warm weather will grow rapidly and without attention. Do not overfeed.